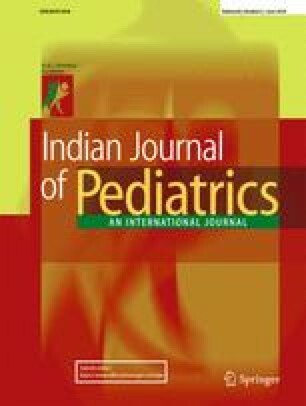 The Indian Society for Pediatric and Adolescent Endocrinology has formulated locally relevant Clinical Practice Guidelines for newborn screening, diagnosis and management of primary congenital hypothyroidism (CH). Recommendations: Screening should be done for every newborn using cord blood, or postnatal blood, ideally at 48 to 72 h of age. On this screen sample, neonates with TSH > 20 mIU/L serum units (or >34 mIU/L for samples taken between 24 to 48 h of age) should be recalled for confirmation. For screen TSH > 40 mIU/L, immediate confirmatory venous T4/FT4 and TSH, and for milder elevation of screen TSH, a second screening TSH at 7 to 10 d of age, should be taken. Preterm and low birth weight infants should undergo screening at 48–72 h postnatal age. Sick babies should be screened at least by 7 d of age. Venous confirmatory TSH >20 mIU/L before age 2 wk and >10 mIU/L after age 2 wk, with low T4 (<10 μg/dL) or FT4 (<1.17 ng/dL) indicate primary CH and treatment initiation. Imaging is recommended by radionuclide scintigraphy and ultrasonography after CH is biochemically confirmed but treatment should not be delayed till scans are performed. Levothyroxine is commenced at 10 to 15 μg/kg in the neonatal period. Serum T4/FT4 is measured at 2 wk and TSH and T4/FT4 at 1 mo, then 2 monthly till 6 mo, 3 monthly from 6 mo-3 y and every 3–6 mo thereafter. Babies with the possibility of transient congenital hypothyroidism should be re-evaluated at age 3 y, to assess the need for lifelong therapy. The online version of this article ( https://doi.org/10.1007/s12098-017-2575-y) contains supplementary material, which is available to authorized users. MD, RS, SS, RP, RI, VB reviewed the literature, drafted the manuscript, obtained extensive inputs from the editorial team, and finalised the manuscript incorporating these inputs. VB will act as the guarantor of the study.